Run and jump through 11 crazy worlds to feed the monsters in this 360 ° gravity platformer. It doesn’t matter which way you go; up, down, left or right, you can’t fall off because of the 360° gravity! 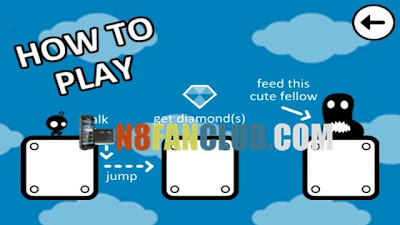 Jump from rotating planes to moving platforms, avoiding dangers and collecting diamonds. Do you have what it takes to perfect every level? Compatible with S^3 / Anna / Belle Smart Phones.